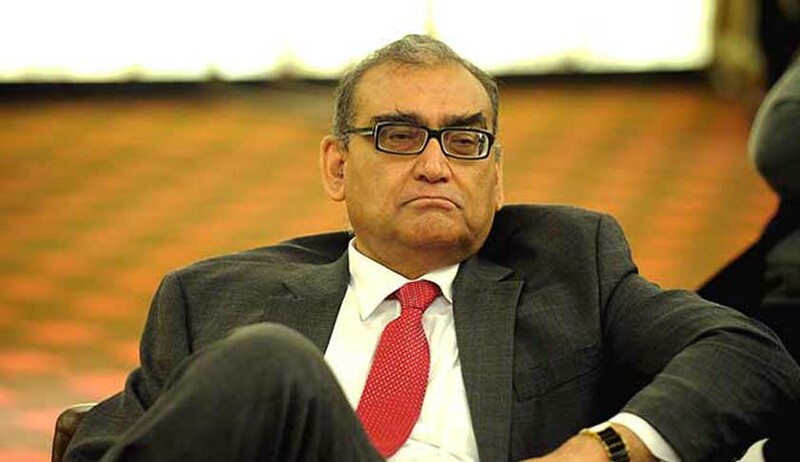 Through a Facebook post, Retired Supreme Court Judge Markandey Katju has again expressed his desire to set up an organization called ‘The Court of Last resort’. The concept of this idea has come from an organization founded way back in 1948 by the eminent American criminal lawyer Erle Stanley Gardner, who later wrote the Perry Mason novels. In his book ‘The Court of Last Resort’, Erle Stanley Gardner mentions about the organization which he set up consisting mainly of lawyers, who took up cases of persons whom they thought were wrongly accused or unjustly convicted. This organization will have its headquarters in New Delhi and will have State Units in all States of the country. These State Units could be authorized to appoint district units. He has hence appealed to the like-minded people among the public, particularly to lawyers, retired judges, academicians, students, social activists, professionals, media persons, etc. to help and get associated with this enterprise. It will be a fact finding body to secure justice for all. To begin with, the organization would take up the cases of Sadhvi Pragya, Abdul Qadir and Bhullar. According to him, the reasons for such a situation are either because evidence is fabricated by the police or for want of proper legal assistance. Many of such persons in jail, he says, belong to minorities who have been accused only on suspicion and on pre-conceived notions that all persons of that community are terrorists. He expressed his concern over the maxim that has seeped into the Indian mainstream since 2001, according to which all Muslims may not be terrorists, but all terrorists are Muslims. In his interview with Karan Thapar, Mr. Katju had said that within hours of a terrorist attack in India many media channels start showing that an email or SMS has been received from ‘Indian Mujahedeen’ or ‘Jaish-e-Muhammad’ or ‘Harkat-ul-Jihad’, or some other organization having a Muslim name, claiming responsibility. However, an email or SMS can be sent by any mischievous person. But by showing this on TV screens, and the next day in print, subtle message is sent that all Muslims are terrorists, and thus the entire community is demonized. His post displayed his fascination with the capability of the American Police, which promptly investigate a crime with scientific methods. Such methods are absent in our system. “All this is triggering new cycles of hate and revenge. Despair turns citizens into perpetrators, from the hunted to the hunter. Young men who have spent long years in jail cannot find jobs or houses to rent even when acquitted, their families are ostracized, and sisters find themselves unmarriageable because their brothers have been branded as terrorists. Unless this cycle of hate is now reversed we are heading for terrible times, for injustice breeds hatred and violence,” he added. “(1) To ask the concerned authorities in various states about details of prisoners languishing in jails, particularly those who have been in jail for long periods, including both under trials and convicts. The R.T.I. Act can be used in this connection. (2) To examine the cases of persons, whether of our own accord, or on the representation of someone, and find out whether there has been injustice in their case, either by the delay in holding the trial, or by a wrong conviction, and do the needful in this connection, including applying for bail. (3) To apply for pardon, respite, suspension or reduction of sentence to the President or Governor as the case may be. (4) To create awareness in the public about this gross injustice this is being done to a large number of people. (5) To educate the police about this state of affairs and change its mentality. (6) To approach the other concerned authorities with the aim of rectifying this injustice to a large section of people. Even earlier in April last year, Justice Katju had expressed his desire to launch the organization. During his visit to Mumbai two days ago, Justice Katju had held meetings with top criminal lawyer Majeed Memon, activist-filmmaker Mahesh Bhatt, and social crusaders to give shape to the NGO. Read the blog here.